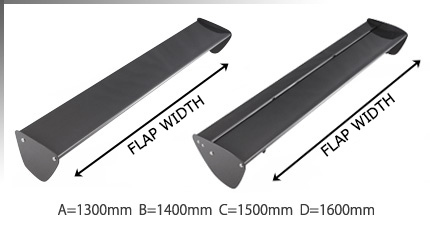 Based on "GT - WING ALMINIUM II", flap and wing end plate are made into CFRP. As a result, we succeeded in reducing the product weight by about 70% compared to conventional products. Adjustable angle can be seven steps as usual. 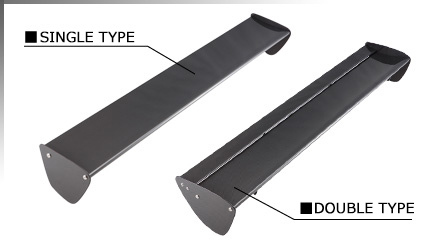 In the double type, it is possible to further adjust 3 stages in the mini flap section. 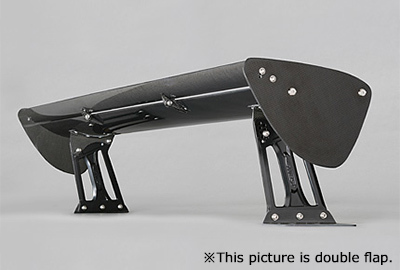 Please feel this lightweight wing by all means. ※ Please confirm the following four selection items. 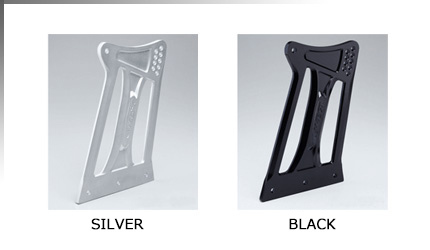 GT-WING NEO　※Confirm the following four selection items. You can confirm the dimensions of the general purpose base from here. 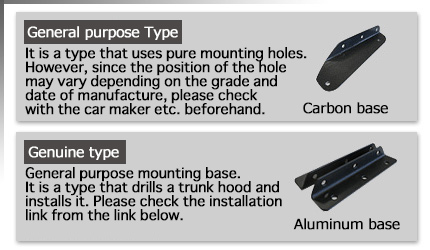 In addition, as for the Car model correspondence data, please refer to the general purpose type leg width dimensions recommended by our company by car model.